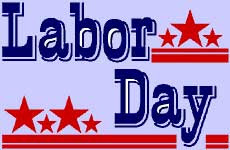 We are running a great one day Labor Day sale! For today 9/7/09 only-save 10% on all orders of $25 or more. Save on brands like Aden and Anais, Trumpette, Under the Nile, Babylegs, Cloud B, Babymel and more! Now is a great time to stock up on cloth diapers, stroller accessories and BPA free teethers. Use code LABORDAY.